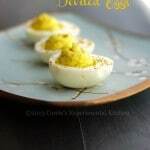 Deviled Eggs made with wasabi and horseradish are sure please those that love heat in their food. Perfect for picnics or game day snacking! Deviled eggs have been a staple at many picnics and family gatherings over the years and I usually make them like this. However, I was looking to kick it up a notch by adding a little heat and decided to add a little horseradish and Japanese wasabi paste to these eggs. When people think of spicy food, especially myself, I tend to think of Mexican spice flavors like hot peppers and cajun seasoning. For some reason, my palate doesn’t tolerate those flavors as well as the spiciness of a good horseradish and wasabi. I just love it~the more the better! All you have to do is hard boil your eggs; then allow them to cool. 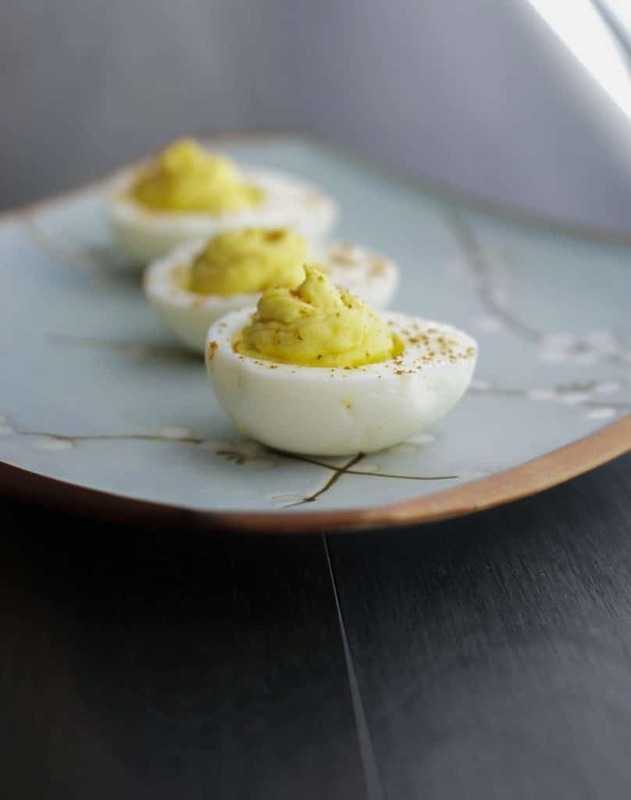 Cut the eggs in half lengthwise, scoop out the yolks and add to a bowl with prepared horseradish, wasabi paste and mayonnaise. I only use Hellmann’s mayo so if you use another kind it may be a bit too sweet. Mix the yolk mixture all together; then fill your egg white halves and refrigerate until ready to serve. YUM! ~Enjoy! Bring the water to a boil; then reduce heat to low and let simmer for approximately 6 minutes. Eggs will be done if you can spin them on their vertical axis. (If they fall to the side, they're not done). Remove the eggs from the water and place in an ice bath (water and icseveral times until they have cooled (you can also make up to two days ahead of time and refrigerate). Peel the egg and rinse off any remaining shells under cool water. Cut the egg in half lengthwise and gently scoop out the yolk using a small knife or spoon. 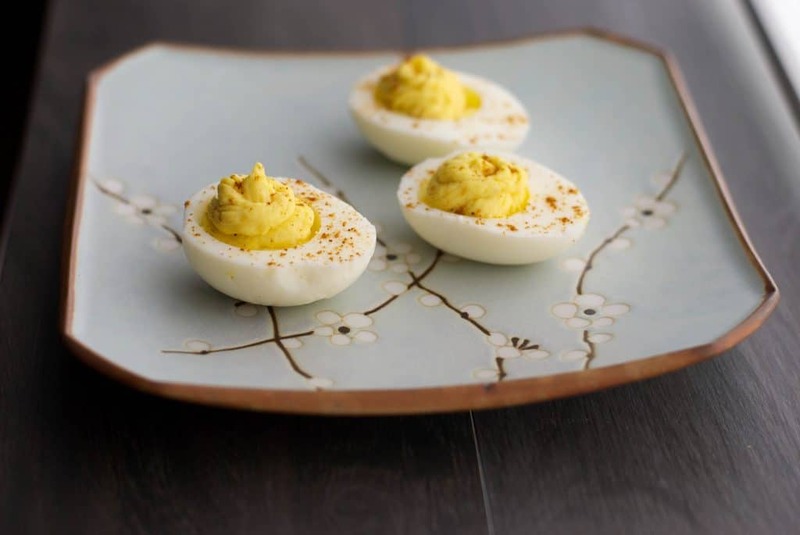 Add the yolk to a bowl, mash with a fork and place egg white on a serving platter. Carefully fill each half of the egg white with the yolk filling. Refrigerate until ready to serve. 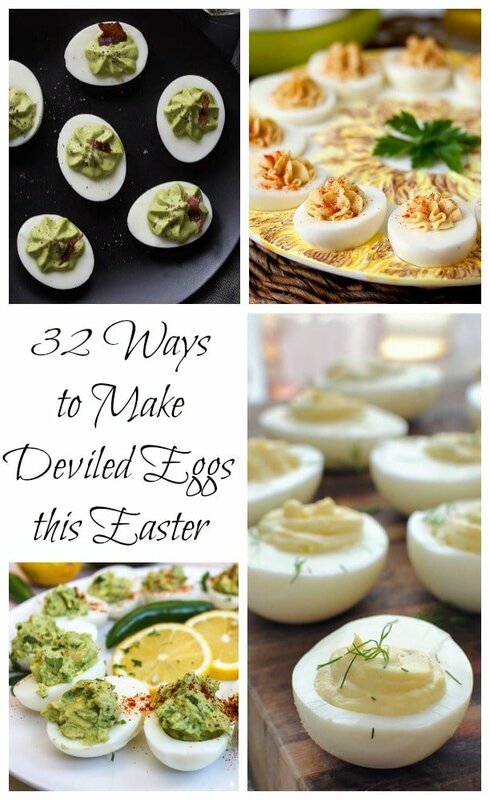 Check out this post on 32 Ways to Make Deviled Eggs this Easter for some more deviled egg ideas! Recipe with wasabi paste, oh my, favorite ingred.